Joseph Gordon Brady, known to his family as Gordon, was born in the small town of Ponoka, Alberta, Canada, on 16 April 1916. Ponoka lies in the middle of the province, between Edmonton and Calgary. His parents, Michael and Anna Brady, were both born in the USA, but had moved to Canada and become naturalised. Brady was one of four children and attended the local schools, before taking up employment working in a drug store in 1934. When the war came, after a period as a field ambulance truck driver, he volunteered for the RCAF, and joined up in March 1941. He was selected for air gunner training, and eventually arrived in Britain a year later. After more training, he was posted to 16 OTU at Upper Heyford in Oxfordshire, and arrived on the same day, 23 June 1942, as Lewis Burpee. The two Canadians were quick to crew up together. Brady was one of the crew on board when Burpee had an accident in a Wellington on 27 August. His starboard engine seized and he made a poor forced landing at Church Lawford, but avoiding numerous construction obstacles. He was criticised for his choice of emergency airfield, but exonerated over the accident itself. Burpee and Brady were posted to 106 Squadron together, and had been joined by Guy Pegler in the latter stages of training. Their first operational trip together as a crew was on a “Gardening” operation to the Silverthorn area on 16 November 1942. Thereafter Brady flew on every single trip made by Burpee, and was promoted to Flight Sergeant in December 1942 and Warrant Officer in February 1943. 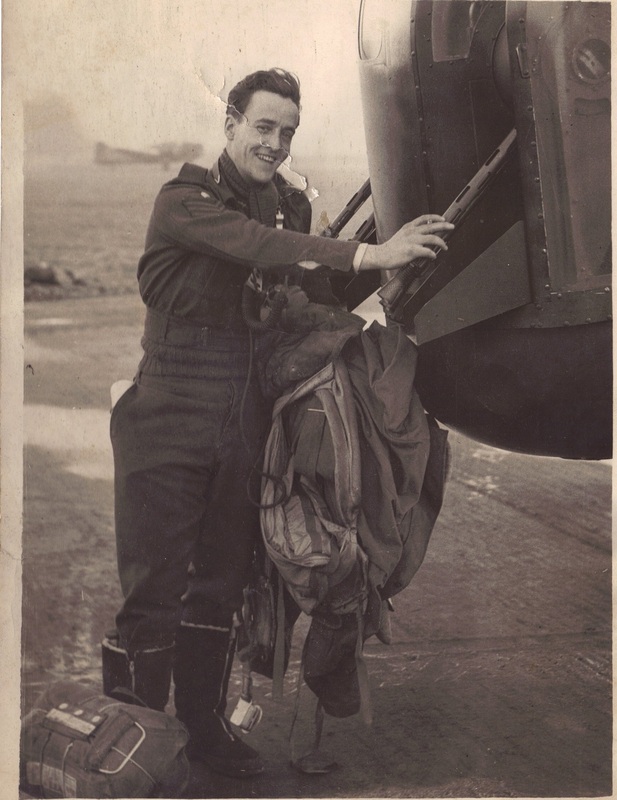 He would have had no hesitation in going along with his skipper on the transfer to 617 Squadron, even though they were both very near the end of their tours. Brady had also been noticed by Guy Gibson, who recommended him for a commission on 10 May 1943, describing him as “smart and efficient”. 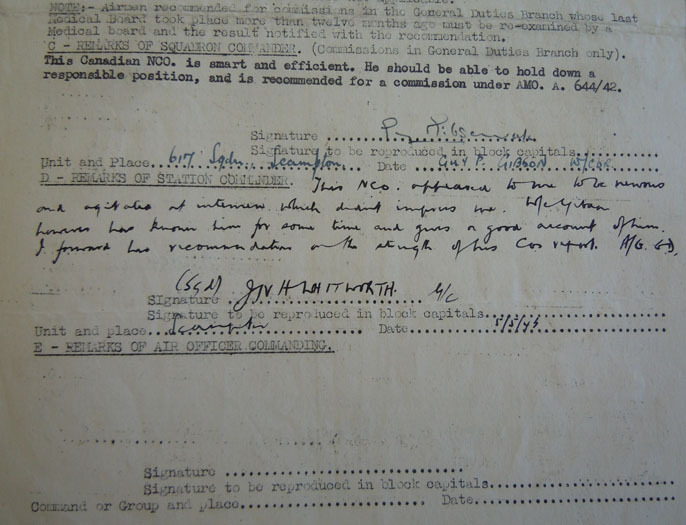 By contrast, Scampton station commander Gp Capt Charles Whitworth, whose recommendation was also needed, was not so impressed. Brady had been “nervous and agitated at interview”. However, he went along with Gibson: “W/C Gibson however has known him for some time and gives a good account of him. I forward his recommednatioin on the strength of his CO’s report.”A week later, it was all too late, and a note on Brady’s file merely says “Recommenndation cancelled”.